Central Intelligence Agency, CIA, er det amerikanske efterretningsvæsen for udenlandske efterretninger. Den 1. november, 2017, offentliggjorde CIA næsten 470.000 hidtil hemmeligholdte filer fra Osama bin Ladens sidste opholdssted, i Abbottabad, Pakistan. Den 15. juli, 2016, offentliggjorde CIA 28 hidtil hemmeligholdte sider fra de indledende undersøgelser af terrorangrebet den 11. september, 2001. Den undersøgelseskommission, der var nedsat af den amerikanske kongres, og som fik til opgave at fastslå begivenhedsforløbet, fandt efterfølgende ikke grundlag for at hævde, at den saudiarabiske regering eller kongefamilien var indblandet i angrebet. Intet i dokumenterne peger på andre gerningsmænd bag angrebet end al-Qaeda og Osama bin Laden. Den 12. juni, 2015, offentliggjorde CIA fem deklassificerede dokumenter, der relaterer sig til CIAs funktioner i tiden op til terrorangrebet den 11. september 2001. De følgende dokumenter er blevet frigivet af CIA, der detaljeret beskriver al Qaedas omhyggelige planer mod USA, og CIAs forsøg på at bekæmpe den stigende terrortrussel. Dokumenterne blev deklassificerede i midten af 2012, og er refereret til i fodnoter i 9/11 Kommissionsrapporten. Agency notes on bin Laden’s evolution from "terrorist financier" in the early 1990s to a significant threat to U.S. interests by mid-1990. Discussions and debates regarding the use of Predator drones as early as 2000. 1992-05-29 – DCI Task Force Report: Improving Intelligence Warning. 1992-07-17 – "Warning," Memorandum for National Foreign Intelligence Board from the Director of Central Intelligence. 1993-07-22 – "Funding of the Gama’at al-Islamiya by Wealthy Saudi Oppositionist Usama Bin Ladin; Composition of Sudanese Wing of the Egyptian Gama’at al-Islamiya," Central Intelligence Agency Intelligence Report. 1994-10 – Office of Inspector General Inspection Report: The Agency’s Counterterrorism Effort. 1995-12 – "Sketch of a South Asia-Based Terrorist Training and Logistic Network," DI TR 95-12, CIA Analytic Report. 1996-11-26 – "Terrorism: Historical Background of the Islamic Army, And Bin Ladin’s Move from Afghanistan to Sudan." 1996-12-17 – "[Excised] Africa Division Recommendations Regarding Sudan," Memorandum, For: Acting Director for Central Intelligence, From: [Excised], Central Intelligence Agency. 1996-12-18 – [Title Excised] "The Following Was the Structure of Usama Bin Ladin’s Islamic Army," Central Intelligence Agency Intelligence Report. 1996-12-19 – "Terrorism: Responsibilities and Background of Islamic Army Shura Council Members." 1996-12-19 – "Terrorism: Activities and Functions of the Islamic Army’s Military Committee, and Political and Sharia Committee; Process of Approving Terrorist Operations," Central Intelligence Agency Intelligence Report. 1997-01-06 – "Terrorism: Usama Bin Ladin Trying to Develop WMD Capability," Counterterrorist Center Commentary, CTC 97-30002, Central Intelligence Agency. 1997-01-08 – "Terrorism: Fatwa Issued in 1992 by Usama bin Ladin’s Islamic Army to Attack U.S. Military in Saudi Arabia, Movement of Explosives [Excised] by the Islamic Army [Excised] to Saudi Arabia [Excised]," Central Intelligence Agency Intelligence Report. 1997-01-09 – [Title Excised] "A Fatwa Issued by Usama Bin Ladin’s Islamic Army Which Allowed for Attacks Against the U.S. Military in Saudi Arabia," Central Intelligence Agency Intelligence Report. 1997-01-27 – [Title Excised] "Usama Bin Ladin’s Islamic Army Issued a Series of Fatwas, Most of the Against the United States," Central Intelligence Agency Intelligence Report. 1997-01-31 – "Terrorism: Cooperation Among Usama Bin Ladin’s Islamic Army, Iran and the NIF," Central Intelligence Agency Intelligence Report. 1997-01-31 – "Terrorism: Establishment of a Tripartite Agreement Among Usama Bin Ladin, Iran, and the NIF," Central Intelligence Agency Intelligence Report. 1997-02-13 – "Terrorism: Possible Islamic Army Foreknowledge of an ‘Egyptian Operation’ and Logistical and Security Assistance Provided for the Attackers," Central Intelligence Agency Intelligence Report. 1997-03-05 – "Terrorism: Usama Bin Ladin’s Links to a Southern Yemeni Group," Central Intelligence Agency Intelligence Report. 1997-03-18 – "Terrorism: Usama Bin Ladin’s Attempts to Acquire Uranium," Central Intelligence Agency Intelligence Report. 1997-04-18 – "Terrorism: Usama bin Ladin’s Historical Links to ‘Abdullah Azzam," Central Intelligence Agency Intelligence Report. 1997-04-30 – "Terrorism: Usama Bin Ladin’s Activities in Somalia and Sudanese NIF Support," Central Intelligence Agency Intelligence Report. 1997-06-17 – "Terrorism: Usama Bin Ladin’s Financial Support to the Egyptian Al-Gama’at Al-Islamiyya, as well as Algerian and Libyan Extremists," Central Intelligence Agency Intelligence Report. 1997-07-14 – "Terrorism: Activities of Bin Ladin’s in Pakistan, Afghanistan, and India," Central Intelligence Agency Intelligence Report. 1997-08-01 – [Title Excised], "Plan to establish an Iraqi Element in Bin Ladin’s Islamic Army," Central Intelligence Agency Intelligence Report. 1997-08-25 – "DCI Talking Points Regarding Operations Against Usama Bin Ladin," Counterterrorism Center, Central Intelligence Agency. 1998-02-23 – “Text of World Islamic Front’s Statement Urging Jihad Against Jews and Crusaders,” Al Quds al Arabi, Foreign Broadcast Information Service, Open Source Center. 1998-05-05 – "[Title Excised]" "Planning for the UBL Rendition is Going Very Well," To: Michael F. Scheuer, From: [Excised], Central Intelligence Agency Email. Cited in 9/11 Commission Report as "Capture Op," "[Gary] Schroen to Mike." 1998-06 – "TERRORISM: Terrorism: Bin Ladin Threatening to Attack US Aircraft," Senior Executive Intelligence Brief [Undated- Cited in 9/11 Commission Report as June 1998 p. 342]. 1998-08-14 – Bombings in Nairobi and Dar es Salaam-An Update,” Central Intelligence Agency Briefing Materials. 1998-09-02 – "Talking Points Regarding Usama Bin Ladin for the DCI’s 2 September 1998 SSCI Briefing," Central Intelligence Agency. 1998-09-22 – [Title Excised]. "Terrorism: Incorporation of Ayman Zawahiri’s al-Jihad Organization into Usama Bin Ladin’s al-Qa’ida; Recent Activities of Egyptian Associates of al-Qa’ida," Central Intelligence Agency Intelligence Report. 1998-11-18 – "Further Options Available Against Usama Bin Ladin," Central Intelligence Agency Summary Report. 1998-11-24 – "[Excised] Options for Attacking the Usama Bin Ladin Problem," Talking Points, Central Intelligence Agency. 1998-12-03 – [Title Excised] Planning by Usama Bin Ladin to Hijack U.S. Airplane, Successful Circumvention of Security Measures in U.S. Airport. 1998-12-04 – "Bin Ladin Preparing to Hijack US Aircraft and Other Attacks," Central Intelligence Agency Intelligence Report. 1998-12-18 – [Title Excised] "Possible Arrest of Two Persons Involved in Plan to Hijack U.S. Airplane in the United States," Central Intelligence Agency Intelligence Report. 1998-12-20 – "Re: urgent re ubl," Note For: Michael F. Scheuer, From: [Excised], Central Intelligence Agency Email. Cited in 9/11 Commission Report as "[Gary] Schroen to Mike." 1998-12-21 – "your note," Note For: [Excised], From: Michael F. Scheuer, Central Intelligence Agency Email. Cited in 9/11 Commission Report as "Mike to [Gary] Schroen." 1998-12-24 – "[Excised] Timeframe for Completion of Hijacking Operation [Excised]," Central Intelligence Agency Intelligence Report. 1999-01 – "Strains Surface Between Taliban and Bin Ladin," Central Intelligence Agency Analytic Report (Undated. Cited in 9/11 Commission Report as January 1999 p. 342). 1999-01-08 – "[Title Excised], Claim that Bin Ladin Postponed Hijacking," Central Intelligence Agency Intelligence Report. 1999-01-27 – "How Bin Ladin Commands a Global Terrorist Network," 99-40003, DCI Counterterrorism Center, Central Intelligence Agency Intelligence Report. 1999-02-10 – "[Excised] Talking Points: CIA Operations Against Usama Bin Ladin," Central Intelligence Agency. 1999-03-16 – "[Title Excised], Iraqi Delegation [Excised] Meet with Usama Bin Ladin in Afghanistan," Central Intelligence Agency Intelligence Report. 1999-04-05 – "[Excised] Terrorism: Targeting Study of U.S. Embassy, Nairobi, Kenya," Central Intelligence Agency Intelligence Report. 1999-04-09 – "Islamic Terrorists: Using Nongovernmental Organizations Extensively," Counterterrorist Center, Intelligence Report, CTC 99-40007, Central Intelligence Agency. 1999-05-17 – "your note," From Michael F. Scheuer, To [Excised], Central Intelligence Agency Email. Cited in 9/11 Commission Report as "Mike to [Gary] Schroen." 1999-06 – "Caucasus: Terrorist Threat to US Interests in Caucasus," Central Intelligence Agency Analytic Report (Undated- Cited in 9/11 Commission Report as June 1999 p. 342). 1999-06-09 – "NEAR EAST: UAE: Imposition of Sanctions Could Disrupt Bin Ladin’s Finances," National Intelligence Daily, Central Intelligence Agency. 1999-07-20 – "DCI UBL Update," Central Intelligence Agency. 1999-07-29 – "Ariana Afghan Airlines: Assets and Activities," OTI IR 1999-170CX, Office of Transnational Issues, Central Intelligence Agency Intelligence Report. 1999-08-03 – "UBL Update," Central Intelligence Agency. 1999-10-29 – "DDCI UBL Update," Central Intelligence Agency. 1999-11-12 – "DCI UBL Update," Central Intelligence Agency. 1999-12-11 – "Bin Ladin to Exploit Looser Security During Holidays," Senior Executive Intelligence Brief, Central Intelligence Agency. 1999-12-17 – "Millennium Threat," Briefing for DCI, December 16, 1999. 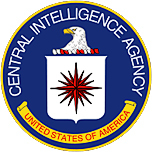 2000-01-07 – "Update, Islamic Extremist Terrorist Threat," Central Intelligence Agency. 2000-02-18 – "DCI Update, Islamic Extremist Terrorism Threat," Central Intelligence Agency. 2000-03-06 – "EXDIR Update – Islamic Extremist Terrorist Threat," Central Intelligence Agency. 2000-03-27 – "Afghanistan: Bin Ladin Evading Sanctions," Senior Executive Intelligence Brief, Central Intelligence Agency. 2000-04-03 – "Islamic Extremist Update," Central Intelligence Agency. 2000-04-05 – ""EXDIR Update – Islamic Extremist Terrorist Threat," Central Intelligence Agency. 2000-05-22 – "DDO Update, Islamic Extremist Update," Central Intelligence Agency. 2000-06-30 –"Bin Ladin Orchestrating Possible Anti-US Attacks," Intelligence Community Terrorist Threat Advisory, The Director of Central Intelligence. 2000-07-07 – "DDCI Update – Islamic Extremist Terrorist Threat," Central Intelligence Agency. 2000-07-14 – "DCI Updates – Islamic Extremist Terrorist Threat," Central Intelligence Agency. 2000-10-18 – "The Threat to US Personnel in Yemen," Intelligence Community Terrorist Threat Assessment," The Director of Central Intelligence, Central Intelligence Agency. 2000-11-02 – "Bin Ladin’s Terrorist Operations: Meticulous and Adaptable," CTC 00-400117, Central Intelligence Agency Intelligence Report. 2000-11-10 – "Attack on the USS Cole: Preliminary Findings," DCI Counterterrorist Center," Central Intelligence Agency. 2001-02-06 – "Sunni Terrorist Threat Growing," Senior Executive Intelligence Brief, The Central Intelligence Agency. 2001-02-14 –"Afghanistan: Bin Ladin’s Interest in Biological and Radiological Weapons," Central Intelligence Agency Analytic Report. 2001-03-23 – "Afghanistan: Taliban Holding Firm on Bin Ladin for Now," Senior Executive Intelligence Brief, Central Intelligence Agency. 2001-03-27 – "Afghanistan: An Incubator for International Terrorism," CTC 01-40004, Central Intelligence Agency Analytic Report. 2001-04-12 – "Pursuing the Bin Ladin Financial Target," CTC 01-40003HCS, Central Intelligence Agency Analytic Report. 2001-05-03 – "Terrorism: Bin Ladin Public Profile May Presage Attack," Senior Executive Intelligence Brief. 2001-05-15 – "[Excised] Query [Excised]." Central Intelligence Agency Email. Cited in 9/11 Commission Report as "Dave to John." 2001-05-23 – "Terrorism: Terrorist Groups Said Cooperating on US Hostage Plot [Excised]," Senior Executive Intelligence Brief. 2001-05-24 – [Title Excised] "Agee (sic) we need to compare notes," Central Intelligence Agency Email. Cited in 9/11 Commission Report as "Dave to John." 2001-05-24 – [Title Excised] "A Group Presently in the United States Planning to Conduct a Terrorist Operation Involving the Use of High Explosives," Central Intelligence Agency Intelligence Report. 2001-06-12 – "Terrorism: Biographical Information on Bin Ladin Associates in Afghanistan," Central Intelligence Agency Intelligence Report. 2001-06-23 – "International: Bin Ladin Attacks May Be Imminent [Excised]," Senior Executive Intelligence Brief. 2001-06-24 – “MBC TV Carries Video Report on Bin Ladin, Followers in Training," Foreign Broadcast Information Service. 2001-06-25 – "Terrorism: Bin Ladin and Associates Making Near-Term Threats," Senior Executive Intelligence Brief. 2001-06-30 – "Terrorism: Bin Laden Planning High Profile Attacks [Excised]," Senior Executive Intelligence Brief. 2001-07-02 – "Terrorism: Planning for Bin Ladin Attacks Continues, Despite Delay [Excised]," Senior Executive Intelligence Brief. 2001-07-03 – "DCI Update Terrorist Threat Review," Central Intelligence Agency. 2001-07-06 – "Expanding Links Between Alien Smugglers and Extremists: Threats to the United States," Central Intelligence Agency Analytic Report. 2001-07-13 – "[Excised] Khalad [Excised]," Central Intelligence Agency Email. Cited in 9/11 Commission Report as "Richard to Alan." 2001-07-13 – "Terrorism: Bin Ladin Plans Delayed but Not Abandoned [Excised]," Senior Executive Intelligence Brief. 2001-07-25 – "Terrorism: One Bin Ladin Operation Delayed, Others Ongoing [Excised]," Senior Executive Intelligence Brief. 2001-08 – " Office of Inspector General, Inspection Report of the DCI Counterterrorist Center, Directorate of Operations, IG 2000-0009-IN, Central Intelligence Agency..
2001-08-06 – "Bin Ladin Determined to Strike in US," President’s Daily Brief, Central Intelligence Agency. 2001-08-07 – "Terrorism: Bin Ladin Determined to Strike in the US," Senior Executive Intelligence Brief. 2001-08-21 – "Re: Khalid Al-Mihdhar," Memorandum, Central Intelligence Agency Email. Cited in 9/11 Commission Report as "Mary to John." 2001-08-23 – "DCI Update Terrorist Threat Review," Central Intelligence Agency. 2001-08-24 – "Terrorism: Sanitized Version of Threat Report," Central Intelligence Agency Intelligence Report. 2001-09 – Michael Warner, "Central Intelligence: Origin and Evolution," Center for the Study of Intelligence. 2001-11-29 – "Terrorism: Extremists Planning Attacks Against US Interests in Pakistan,” Central Intelligence Agency Analytic Report. 2001-12-08 – "Terrorism: Discovery that 11 September 2001 Hijacker Mohammed Atta Did Not Travel to the Czech Republic on 31 May 2000," Central Intelligence Agency Intelligence Report. 2002-02-27 – "Identifying Al-Qa’ida’s Donors and Fundraisers: A Status Report," Central Intelligence Agency Analytic Report. 2002-08-07 – "Terrorism: Amount of Money It Takes to Keep al-Qa’ida Functioning," PWR080702-05, Central Intelligence Agency Analytic Report. 2002-10-17 – "Written Statement for the Record of the DCI," Written Statement for the Record of the Director of Central Intelligence Before the Joint Inquiry Committee, Central Intelligence Agency. 2002-11-14 – "Saudi Based Financial Support for Terrorist Organizations," CTC 2002-40117CH, Central Intelligence Agency Analytic Report. 2002-12-06 – "Fraudulently Acquired Saudi Passports Facilitates Al Qa’ida Travel," Central Intelligence Agency Analytic Report. 2003-03-10 – "Al-Qa’ida in Sudan, 1992-96: Old School Ties Lead Down Dangerous Paths," CTC 200340028CHX, Central Intelligence Agency Analytic Report. 2003-03-18 – "CT: Presence of Al-Qa’ida Operative Tawfiq Muhammad Bin Salah Bin Rushayd Bin Attash in Los Angeles In Summer 2000; Association of Bin Attash With U.S.-Based Extremists," Central Intelligence Agency Intelligence Report. 2003-06-20 – "Afghanistan Camps Central to 11 September Plot: Can Al-Qa’ida Train on the Run?" CTC 2003-40071CH, Central Intelligence Agency Analytic Report. 2003-12-10 – “Requested Modifications to ‘Summary of Body of Intelligence Reporting on Iraq-al Qaida Contacts (1990-2003),'” Memorandum from Central Intelligence Agency Director of Congressional affairs Stanley M. Moskowitz to Undersecretary of Defense for Policy Douglas Feith. [Undated – Likely 2004] – "DCI Document Request No. 16, Item No. 1, Production of the [Excised] Usama Bin Ladin Situation Reports (‘UBL Sitreps’)," Central Intelligence Agency. [Undated – Likely 2004] – "DCI Document Request No. 52, Item No. 2," Central Intelligence Agency. 2004-02-24 – "DCI Testimony: The Worldwide Threat 2004," Testimony of George Tenet, Before the Senate Select Committee on Intelligence. 2004-03-11 – "Name Variants and Aliases of 11 September Hijackers and Associates as of 11 March 2004," Central Intelligence Agency. 2004-03-19 – "DCI Report: The Rise of UBL and Al-Qa’ida and the Intelligence Community Response," Draft, Central Intelligence Agency Analytic Report. 2004-03-24 – "Statement for the Record of the Director of Central Intelligence Before the National Commission on Terrorist Attacks Upon the United State," Office of Public Affairs, Central Intelligence Agency. 2004-04-14 – "Law Enforcement and the Intelligence Community," Panel One of the Tenth Hearing of the National Commission on Terrorist Attacks Upon the United States. See also 9/11 Commission Report p 190. See also 9/11 Commission Report, p. 189.